While low oil prices are beginning to slow the growth of U.S. shale, in the years ahead oil and gas drilling could be curtailed by a different problem: a shortage of water. The US shale oil industry is starting to look like one with fast diminishing returns. A shortage of water and rising costs of its availability and disposal is another problem to add to the list of problems facing it like profitability, production figures and breakeven prices. If we add the eventual environmental costs, the US shale oil industry will never be a profitable one no matter what the level of oil prices is. Reports about a slowdown in US shale oil production are coming fast and thick from different reliable sources. 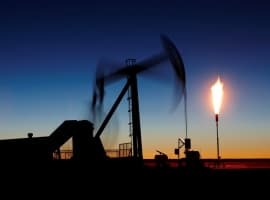 These reports from the Wall Street Journal (WSJ), International oil service companies such as Schlumberger and Haliburton and other authoritative organizations including MIT are talking about productivity, depletion and drilling issues and therefore can’t be ignored. 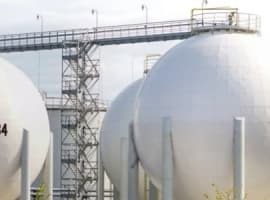 Moreover, all of them have been accusing the US Energy Information Administration (EIA) of inflating production figures. Yet, the EIA is projecting a US production of 12.1 million barrels a day (mbd) in 2019 rising to 12.9 mbd in 2020. Moreover all through 2018 the EIA has been telling us that US oil production will average 11.70 mbd. Now it is saying that it has averaged 10.9 mbd. Therefore, the projection that US production will average 12.1 mbd in 2019 and 12.9 mbd in 2020 is mere hype exactly like the claim that the US will become a net oil exporter in the fourth quarter of 2020. Shale producers are claiming that they managed to reduce their breakeven prices to a range of $50-$60 a barrel. This can’t be true given the rising costs of drilling and water and the fact that shale wells suffer a steep depletion rates estimated at 70%-90% at the initial stages of production. This necessitate the drilling of more than 10,000 new wells every year at an estimated cost of $50 bn just to maintain production adding to their outstanding debts. A true breakeven price could range from $70-$80 a barrel if not even higher. It hurts a bit to hear a foreign citizen, such as Dr. Salameh criticize an important U.S. industry, like going after petroleum using unconventional method. But I think U.S. citizens need to take a hard look at where unconventional petroleum extraction is taking us. Do we look at all of the costs for this form of extraction? Are investors blinded by techno-dazzle because it seems productive, based on the volume of production. Without technology, we would not have even the appearance of volume-production -- production that we assume is profitable. But is it? In the long run, we have damaged air and water and climate to contend with along with investors saying, "what happened?" I think clean energy production is where we're headed. Investors are starting to figure this out. I just wonder when we'll make clean energy/clean transportation a national priority. Over 10 years of drilling to keep prices down by over drilling and now running out of water. Sounds like a Washington D.C.plan to me. At least McCain admitted it.